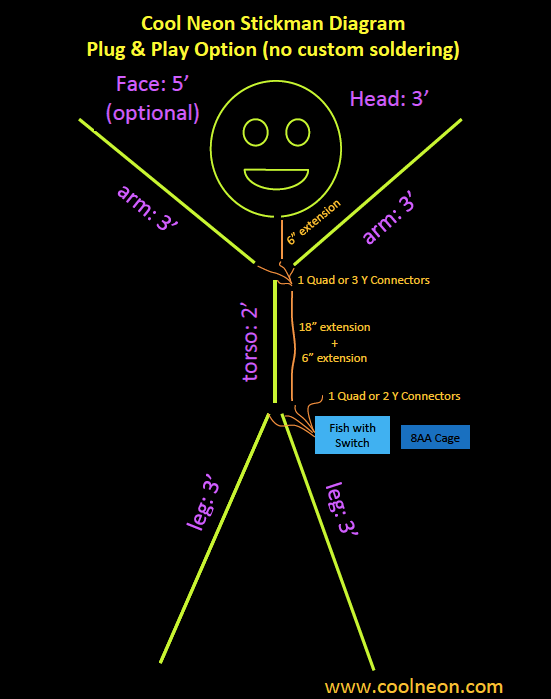 Have you ever wanted to be a Cool Neon EL WIRE StickMan? Have you ever wanted to be a StickMan? You know, a costume attached to your clothes, and in the dark people can only see you as a StickMan. Well, here is one of those with a schematic and a materials list, so just in case you were thinking about it, here it is! Thanks for the great diagram, Josh. Have Fun! And please send us some photos if you if you make the costume, we would love to share them on our blog and Facebook Page.